when people think of "Beats headphones", they're probably picturing the classic on-ear design of the Solo headphones. They're lacking some of the more premium wireless features of the rest of the Beats line-up, but the wired only Beats EP is also the least expensive headphones that Beats currently sells. If you want active noise cancelling headphones that are Beats, the Studio3 Wireless is your only option. The Beats Pro headphones were made for the creator, not the casual commuter. Though its appearance is somewhat uninspiring, the Vortex offers excellent features like aptX-compatibility, a 20+ hour battery life, and stable connectivity. For around $60, the Anker Soundcore Vortex is a rare breed of value-packed headphones. Despite their high price tags Beats headphones have grown to become one of the most successful audio products of all time. Regardless of how many complaints or negative reviews they receive, they continue to fly off the shelves. So why fight it? We’re turning into the skid and exploring what are some of the best Beats headphones you can get? Luckily for us, there aren’t too many options currently available. But as always, we’ll be sure to update this list in the future so that you can be certain the information reflected here is accurate. Editor’s note: this list was updated on April 18, 2019, to reflect price changes and address the Beats Powerbeats Pro. Let’s just jump right in, the best Beats headphones you can get are the Solo3 Wireless. For most people, it’s best to keep it simple and get the Solo3 Wireless. These have that classic on-ear design that Beats headphones are known for, and the fold at the hinges so you can bring them with you wherever you go. Thanks to the W1 chip inside, you’ll get superb connectivity with a recent iOS device and can connect in an instant. You’ll also get a solid 40 hours of constant playback, so if you’re not a fan of charging products these might be for you. On the downside, they don’t have the best build quality and we found in the full review that the rubberized plastic on the underside of the headband can pull hairs. That said, it’s grippy enough to keep these firmly on your head so you won’t have to worry about them falling off. Sound quality is also far from neutral, and if you like exaggerated bass lines these won’t disappoint. The Beats EP is one of the more affordable options in the Beats lineup and even cost less than the AirPods. Why? Because these aren’t wireless. You’ll get a good ‘ol 3.5mm connector at the end of the audio cable so you can hardwire into your devices. Of course, this might be a problem depending on the phone you have since you’ll be forced to use the dongle. Beats markets these as “battery-free for unlimited sound”, which basically means they’re headphones. The downside is that the in-line remote is only iOS compatible and the ear cups don’t fold for portability. But the stainless -steel headband does slide nicely to fit your head. 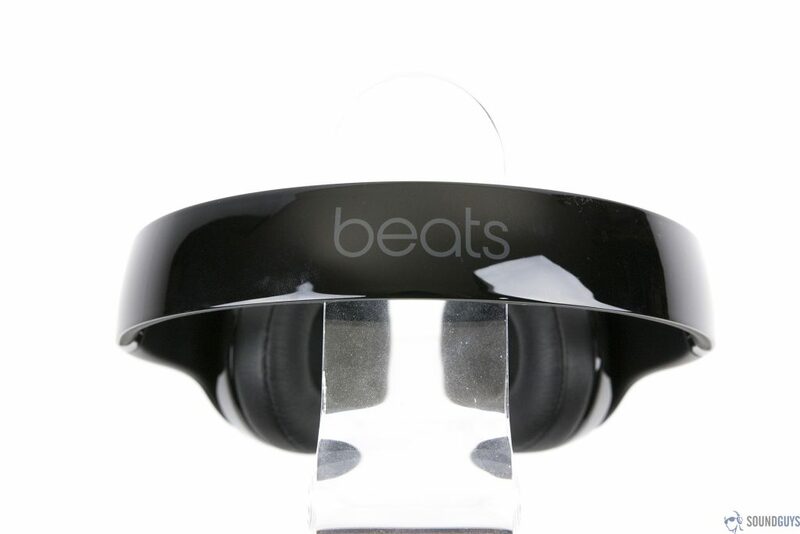 The Beats EP are on-ear headphones, so isolation won’t be amazing but the build quality on these is surprisingly good. For those of you who are always on the go, there’s really only one pair of Beats headphones for you and that’s the Studio3 Wireless. These are the only Beats headphones that currently feature active noise cancelling, so if you want to block out the world around these are the way to go. As the name suggests, the Studio3 Wireless are wireless but they can also be hardwired with the included audio cable. If you do decide to hardwire them the battery should last you about 40 hours, otherwise you can expect to get around 20 hours of constant playback when connected wireless. All of the playback controls can be found in the multifunction “b” button on the left ear cup. With a series of taps and holds, you can control everything from volume to playback. Hate it or love it, these are another pair that offers the classic Beats sound with heavy emphasis on lower notes. We weren’t huge fans of it in the full review, but judging by how many of these Apple sells it’s safe to say that some people do enjoy it. If you’re looking for the best sound quality then go with the Beat Pro headphones. These are another pair of wired headphones, but in this case, that’s because these aren’t intended to be used with your phone. These are for anyone that’s going to be sitting at a desk or in a studio, which you know not because of the neutral sound signature (LOL yeah, right), but because they come with a ¼” adapter and long coiled cable that locks into the headphone. Speaking of which, the build quality of these headphones also isn’t bad considering it’s made mostly from plastic. Instead of adding hinges so you can fold these, the earcups rotate around and can be oriented up towards the headband. This reduces the large footprint and allows you to store them more easily. Of course, sound is still skewed towards the low end and although I personally don’t know anyone who uses these while working with audio (the go-to for that seems to be the Sony MDR-7506 headphones), these are the best that Beats has to offer. As we did with our best wireless Beats list, we’re also going to end this one with an affordable alternative. In this case, we’re going with the Anker Soundcore Vortex. Sure, it doesn’t have the same sleek design or heavy bass response that you’ll with Beats headphones, but it does offer a lot of useful features. You’ll get a foldable design for easy travel, plush ear cups for comfort and sound isolation, the option to hardwire in an audio cable, and a 20-hour battery life with aptX. Of course, you won’t get any of the W1 chip goodness that comes with the other wireless Beats headphones and build quality also isn’t as great, but considering these will only run you about $59 we figured they’re at least worth putting on your radar. Beats recently announced its debut true wireless earbuds, the Beats Powerbeats Pro. These earbuds use Class 1 Bluetooth and Apple’s H1 chip, the same one found in the new AirPods. Just like the AirPods it supports quick charging; 15 minutes provides 1.5 hours of playback time. Unlike the AirPods, however, the Powerbeats Pro have physical controls that are identically placed on the earbuds. We’ll be sure to update this list once we get them in for testing. Some Beats headphones come wired, but an increasing number of their products have been ditching the wire and going wireless. This means that you should be at least somewhat familiar with how they’re doing it and what that does to your sound quality. Bluetooth audio has come a long way from its early days, but it still isn’t perfect. 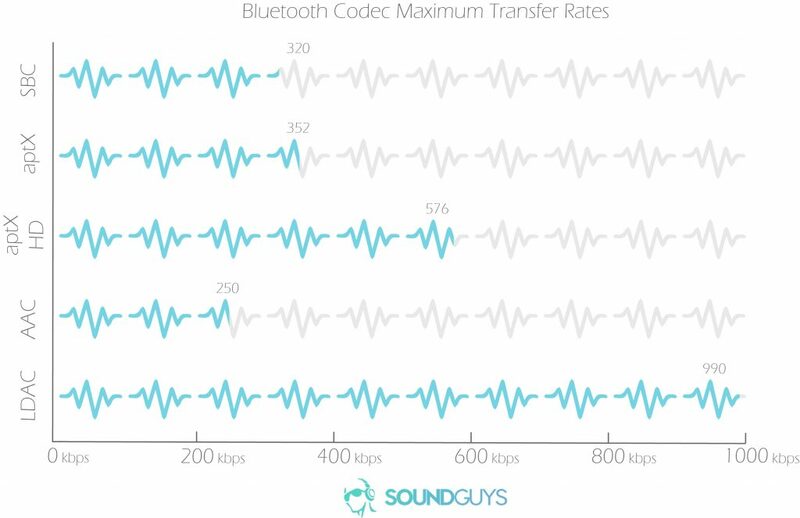 Ditching the headphone jack means that more and more people need to rely on Bluetooth to listen to their music, and the way this works is via something called a codec. A codec is how two devices communicate with each other. Think of it like a language that needs to be spoken by one device, and understood by another. All devices speak SBC which is the most basic codec, and from there things get messy. Mainly due to the fact that different companies prefer different codecs. Sony has LDAC, Qualcomm has aptX (and soon aptX Adaptive which has the potential to be the best one so far), and companies like Apple use AAC. Since Apple owns Beats, you can see why Beats headphones only use AAC. So is it bad? Well, AAC has a similar bitrate to MP3, which isn’t great. But it does have a higher bit-depth, so you get slightly more information transferred at once even if the transfer speed is slower. That said, the codec is still years behind LDAC and aptX HD. 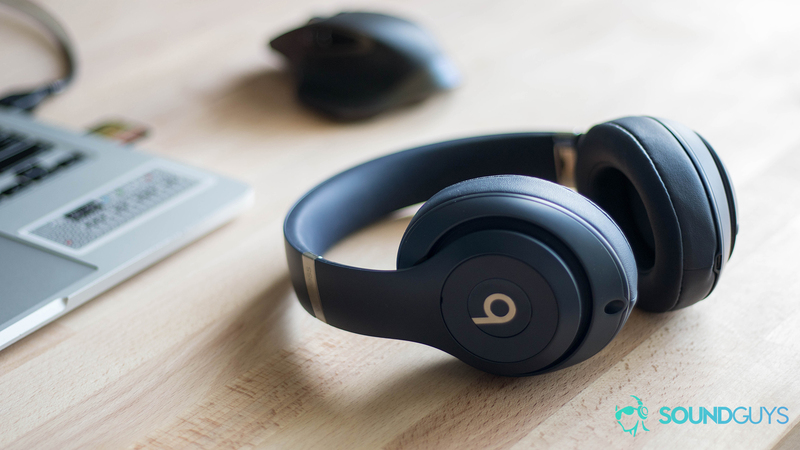 To learn all about the different types of codecs and their pros and cons make sure to check out our full explainer piece, but when it comes to Beats products all you really need to know is that they only use AAC. What’s the deal with the W1 chip? 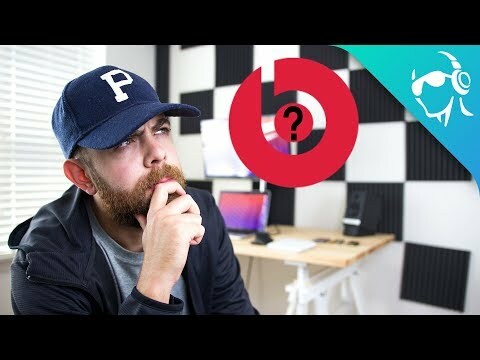 When Apple removed the headphone jack from their phone, they announced a few Beats products along with it and claimed that the W1 chip was going to make Bluetooth audio easier and better for consumers. But what exactly is it and what does it do? The W1 chip is a physical chip made in-house by Apple that helps the main Bluetooth chip in devices by streamlining some of the processes. For example, if you have an iOS device then it will automatically detect that there is a pair of headphones nearby with a W1 chip inside. A nice animation then pops up on your phone showing that headphones in question, and you can connect to them with just one tap. This lets you completely bypass going through your Bluetooth settings. Sure, it’s not that big a deal, but still cool nonetheless. Listeners using an iOS device will enjoy an optimal listening experience with the BeatsX due to the earbuds’ AAC support and integrated W1 chip. The W1 chip also helps the headphones consume less power because it knows exactly how much energy the product needs, so you’ll get the kind of 40-hour battery life you see with the Solo3 Wireless headphones. It also helps to maintain a stronger connection between the devices. So although it isn’t a game-changer, it definitely adds some functionality that gives headphones with the W1 chip an edge over headphones that don’t. Especially if you’re already using an iOS device. Why is the frequency response of Beats products so different? This is another aspect of audio where you can learn so much more by checking out our full explainer by Rob Triggs, who does a great job going over the technical bits. But if you’re in a hurry here’s the gist of it and a metaphor (simile?) that I hope makes it easy to understand. Frequency response refers to the capabilities of the components in your headphones to reproduce the signal that is being fed into it as perfectly as possible. If that’s achieved you get something called a neutral frequency response, where the output signal perfectly matches the input signal. Frequency response can often be thought of much like a filter, that can boost or attenuate the input signal. One way to picture this is to think of the game telephone we all used to play as children. If you’ve never played it goes like this: a bunch of people gets in a line and one person whispers a message into the first person’s ear. That person then whispers the same message to the next person in line, and so on, until you get to the end of the line. If everything went well, the same message should make it to the last person in line. Now to put that into headphone terms, your source device outputs a signal to your headphones. If all of the components in your headphones are working fine then that same signal should make its way out of the drivers at the end so you can hear it. A comparison of an ideal flat (green), acceptable real world example (yellow), and audible (red) frequency responses. But if you’ve ever played telephone, you know that the ideal situation rarely (if ever) happens. Somewhere along the line, there’s always a part where the message gets changed. Headphone manufacturers change the signal on purpose by tweaking the components of your headphones, to make the final message (the music) that reaches your ears sound better. Unfortunately, our ears aren’t perfect so different companies try to adjust for our lack of bat-like hearing in different ways. They might emphasize the lower notes, or take away some of the harshness in the highs so it doesn’t hurt your ears, or even just raise the mids a little so you can better hear vocals. Although you’ll hear plenty of people say this is a bad thing and they want their music to sound as natural, or as close to the original message as possible, the fact is that not everyone enjoys that. Beats headphones are proof of that. These headphones having an exaggerated low end isn’t a mistake in manufacturing. The headphones are made like that because, for better or for worse, people like it. When it comes to how your music sounds, one important piece of the puzzle that often gets neglected is how well you’re isolated from outside noise. If you’re going to be in a sound-treated studio with perfect foam padding on every hard surface, then this probably isn’t too big of a deal for you. For the rest of us, outside noise is the death of good sound. This is especially true when it comes to commuters. The problem isn’t really with your headphones, it’s with human biology (you might be seeing a common theme here). When you hear two notes that are close to each other in frequency, the brain will cancel out the lower one. This effect is called auditory masking and helped humans in terms of evolution because we were able to ignore unimportant sounds in favor of the growling of a predator, but it isn’t so great when it comes to listening to music. So if you listen to music on a train, bus, or plane fairly often, you’ll notice how the bass doesn’t sound as good as it does when you’re in the quiet of your own home. This is because those sounds are louder than the sweet, subtle basslines of your favorite songs. The Solo3 Wireless are on-ear headphones and don’t offer much in terms of isolation from the outside world. So how do you combat this effect? With headphones that physically block outside noise (and a little bit of active noise cancellation doesn’t hurt either). Over-ear headphones like the Studio3 Wireless will completely over your ears, blocking a lot of outside noise simply by being there. Then there’s active noise cancelling. In this case, the headphones use tiny microphones to hear what’s going on around you and then create the opposite sound wave in order to cancel out the sound. You can learn more about it here, but you might remember it from Physics 101 if you were ever unlucky enough to take that class. It’s called destructive interference, and it does a pretty good job at removing some of the low, constant hums you encounter throughout the day. Curious about wireless Beats earbuds? The BeatsX, AirPods, and Powerbeats3 all have the new W1 chip from Apple, but which are the better pair of wireless earbuds? If you’re wondering whether you should just skip headphones and go for a pair of wireless earbuds, don’t worry you’re not alone. We wondered the same thing and put the BeatsX against the Powerbeats3 and even threw the AirPods in just for fun. If you’re interested in any of those options definitely check out that showdown so you’ll know which one is right for you.